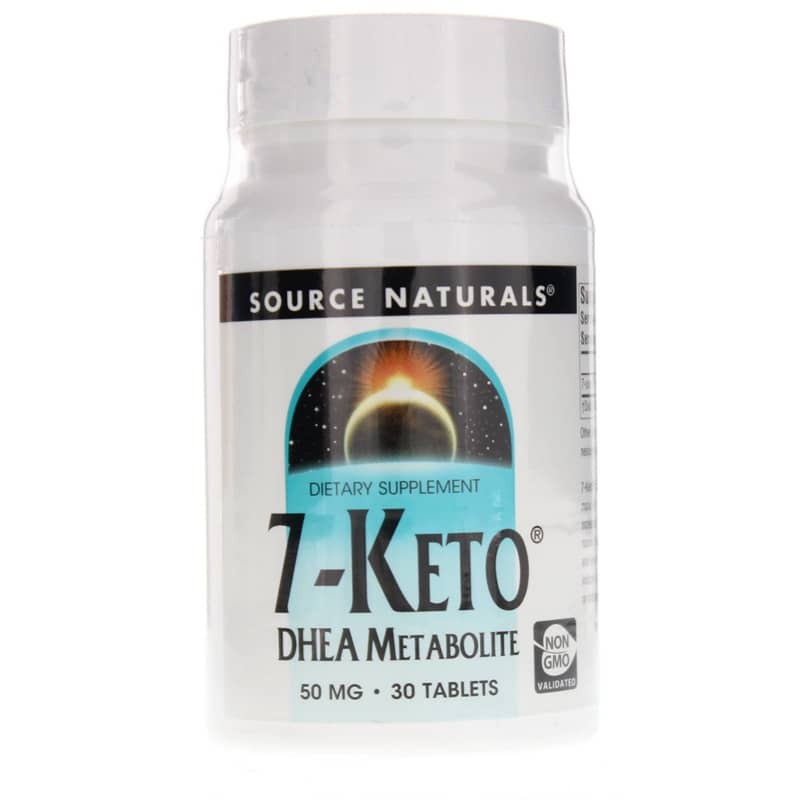 7-Keto DHEA Metabolite by Source Naturals contains 50mg of 7-oxo DHEA acetate per tablet and may offer natural weight loss support. 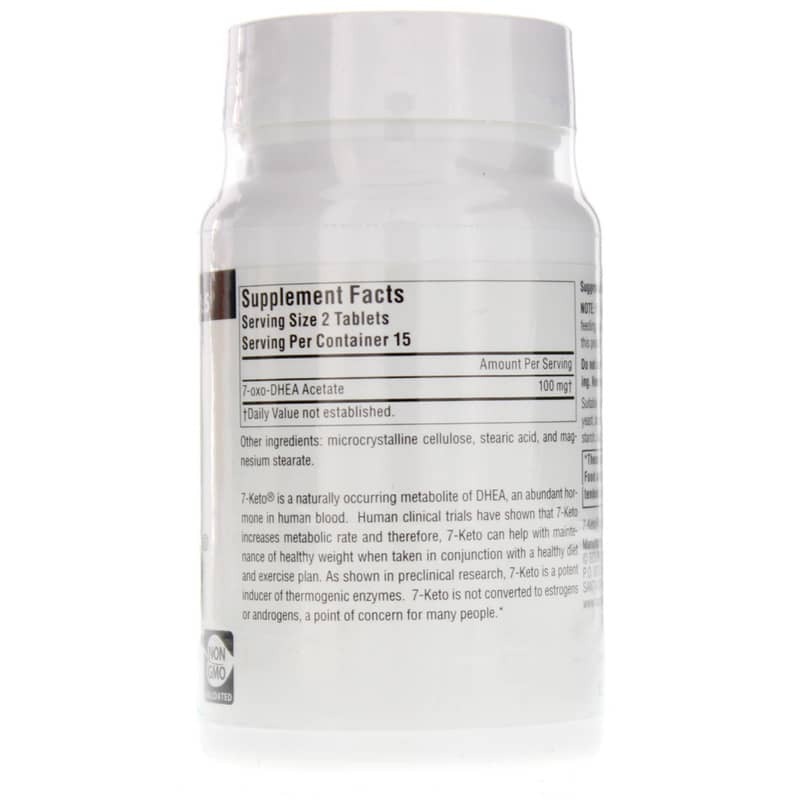 Contains NO: yeast, dairy, egg, gluten, corn, soy, wheat, sugar, starch, salt, preservatives or artificial color, flavor or fragrance. Non-GMO. 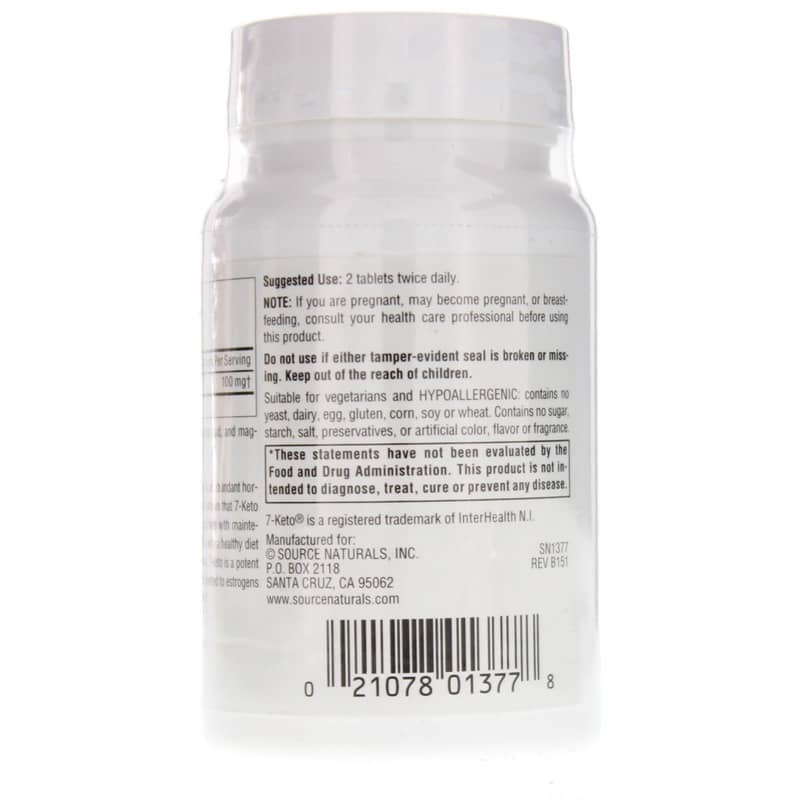 If you are pregnant, may become pregnant, breastfeeding, or taking any medication, consult your healthcare professional before using this product. Keep out of the reach of children.